Our Peter T. Roach & Associates debt settlement lawyers defend New Yorkers sued for payment of a debt. We file paperwork in court to stop unfair wage garnishment and release frozen bank accounts. In addition, we obtain proof of a creditor’s claim and assist clients in negotiation of favorable settlement terms. 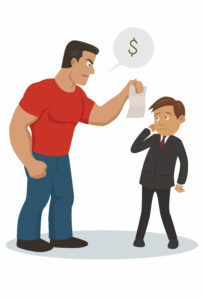 Sued by Peter T. Roach & Associates Debt Collectors? Contact our Peter T. Roach & Associates debt settlement lawyers today. Our Peter T. Roach & Associates debt settlement lawyers are highly experienced in fighting debt collection lawsuits in the New York Civil Court and State Supreme Court. We regularly appear at the courts in Manhattan, Queens, Brooklyn, Bronx, Long Island & Westchester. In addition, our local counsel in Upstate New York handle court appearances on behalf of our client’s statewide. Contact our Peter T. Roach & Associates debt settlement lawyers for a free case review.